Most iPhone and iPad users will use the same Apple ID and iCloud account repeatedly on the same device and across other devices, as they should, since that is how they are designed to work. Nonetheless sometimes you may buy an iPhone, iPad, or iPod touch on the used market and discover that someone has made and used so many different Apple ID or iCloud accounts on the device that an error message shows up when going through the device setup, saying that the device is “no longer eligible” to make an account. The exact error messages are “Account Limit Reached: This device is no longer eligible for creating a free iCloud account” and “This device is no longer eligible for creating an Apple ID”. If you see an “Account Limit Reached” or “no longer eligible” message when trying to setup an iOS device, or when trying to create an account on a specific iPhone, iPad, or iPod touch, then here is what you can do to fix it. Before anything else you should make sure the iOS device is no longer associated with the prior owners account. The easiest way to do that is have the original owner disable Find My iPhone on the device (in Settings > iCloud) and then log out of iCloud on the device. 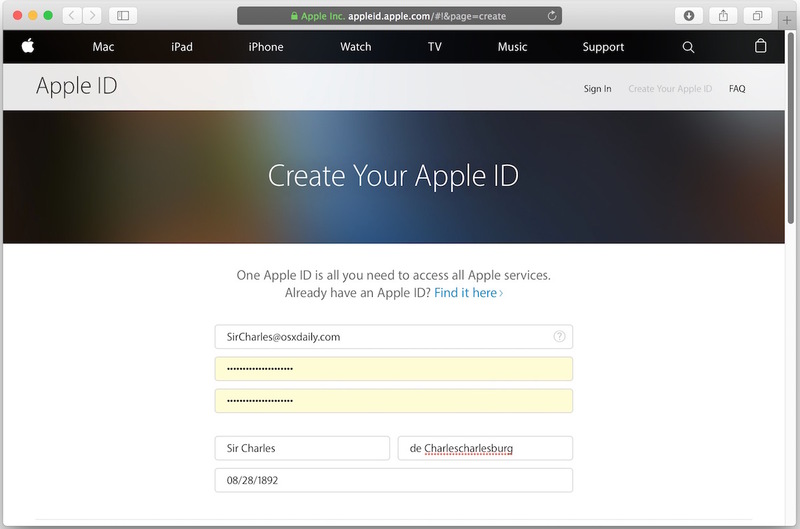 If the person is not around to do that, they can remove iCloud and the Activation Lock remotely by using the iCloud.com website. After you have done that, delete the iCloud account from iOS so that you can proceed with creating and using a new one. Assuming there is no associated ID with the device anymore, you can proceed. This process can be started on any device or computer, with any web browser. You’ll need the original iOS device as well. That’s it, you’ve created a new Apple ID and can log into iCloud on the device that moments ago was saying it was no longer eligible to do so. This is a pretty rare situation to encounter, but it seems to pop up most common with older iPhone models that have been resold or handed down many times, particularly in families or on the used device market. So, rather than freak out and think the device is useless, just remember if you see the ‘not eligible’ error, just make a new Apple ID from a different device or different computer using the Apple website, and log in as usual afterwards. Easy! Have another solution for dealing with this error message? Let us know in the comments. Good technique. Thank You for the solution to my problem, it fixed. I am having this problem before, but not now. What do you in the case that you bought a second hand iPhone and it is still associated with an account and the previous owner is totally unknown and can not be found .. ?? I would be after the person that sold it to me, since that’s the likely reason they sold it to you, because they knew they couldn’t use it. It’s essentially an expensive brick if you can’t reach the person that originally owned it. Activation lock is there and iCloud will keep it locked down. I’ve had that problem with an iPhone 4S but the way I fixed it was by calling Apple – the iPhone was unlocked from Apple itself three days after. What can I do? Please!!! if you have a another iPhone, or if not, u can borrow your friends iPhone to create a New Apple ID and after finish, u can log in to your iPhone…. but firstly u have tu log out your friends Apple ID. If you already create Apple ID using iTunes or Apps Store, just log in to your friends iPhone iCloud to “Agree Agreement”. and remember, Do Not “MERGE” any data from your Friends iPhone..
(^_^)… hope this method can help you to fix your problem. I have created an Apple ID on web by Gmail account and now I signed in from that account to my new iPhone. Then whether I have used 1 out of 3 free iCloud accounts or I have 3 free iCloud accounts remaining? I’ve a problem with my iphone…. When I try to sign in to my apple id I can’t sign in because the maximum accounts attached to the iphone… Please tell me how to fix it….. I bought the a used phone signed in my Apple ID but ccouldn’t log in my cloud account due to the reached maximum accounts.what should I do ? 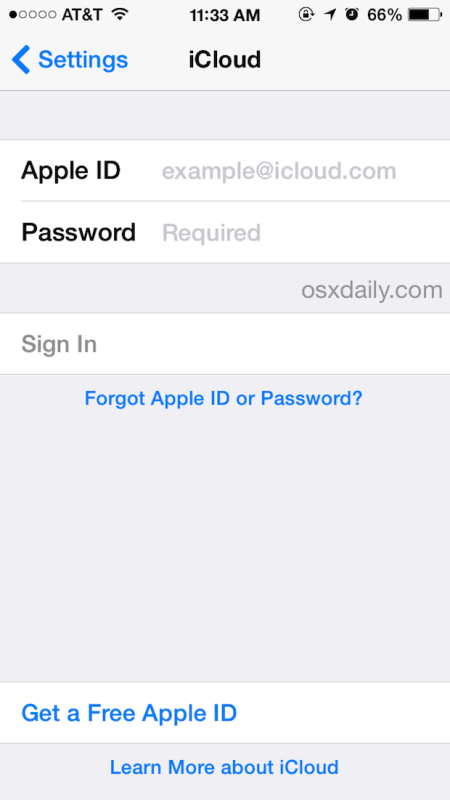 Can I use someone’s Apple ID to create my own Apple ID ? My 2nd hand iphone 5 had no account when I bought it, maybe before there is someone used it with his/her apple id. I created new id using web browser. And tried to login at this ip5 (which is currently no apple id anymore), but I still got “The maximum number of free accounts have been activated on this iPhone” error. No solution yet? It has been successful for me to resolve this issue. Does it mean this phone isn’t new?? ?